A Sweet Cake » Blog Archive » Softball! 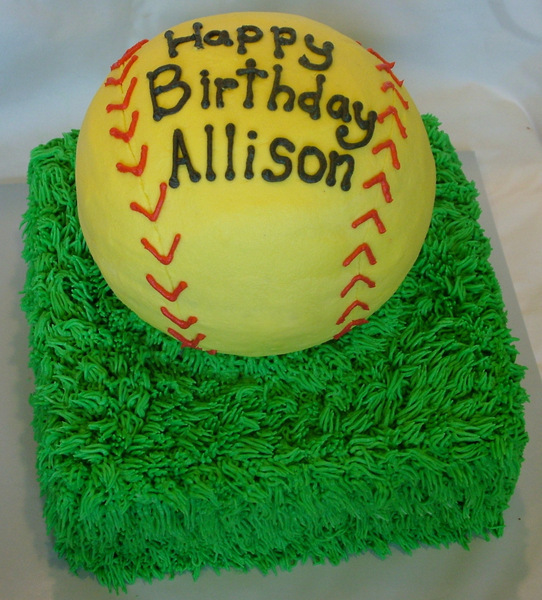 A friend asked if I could make a cake with a big softball for her daughter’s birthday – of course! The ball for this cake was made with the Wilton ball pan. The base is a 10″ square.